a.) 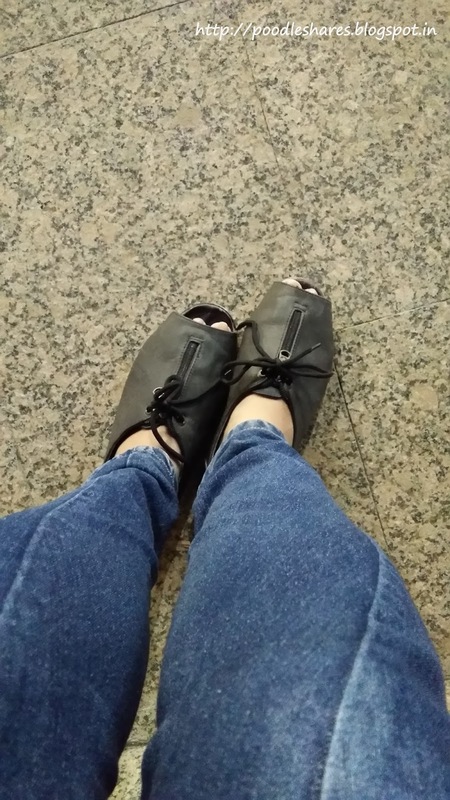 Comfort: There is no other attire which provides so much of comfort when you are out and about with your business. Hardly you have to bother about it slipping or the unwanted curves showing through. Pair it the right way and you are good to go. b.) 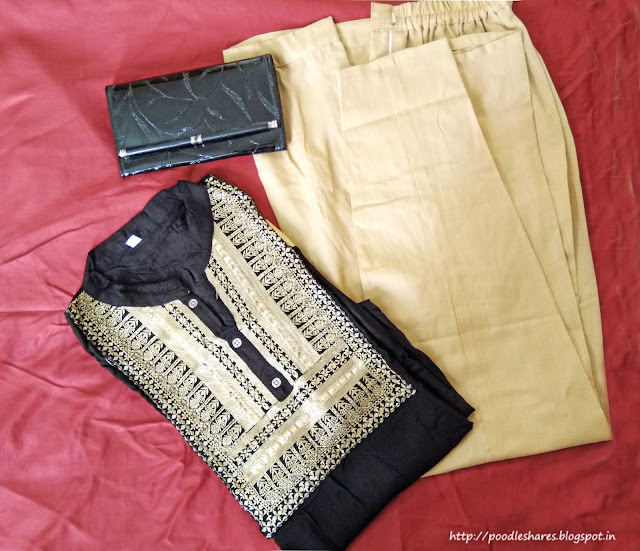 Variety: Have you ever been to Kurti/Kurta shopping? Its so much fun to chose from all those options at such reasonable price. I stay in Delhi and 2 most adored Kurti heaven for me to shop are Sarojini Nagar and Lajpat Nagar but if you are bulk buying (in case of marriage and functions), Chandni Chowk is your spot. c.) Looks: Kurtis are such versatile and with upcoming trend you can fit it into any category. Make it formal to attend office, make it chic to attend a birthday party, pair it with denims and you are ready for some street shopping or make it traditional to attend a party or family function. d.) Traditional Quotient: Since kurtis/Kurtas are second most preferred option after saree in India, its high on ethnic value too. You just need to find the right kurta to blend in the gathering. Pair those straight or button kurti tops with denims and there you have your casuals ready. For more modish and minimal classic look find something in solid or checks. To complete off the look pair it with scarf or peep toes. 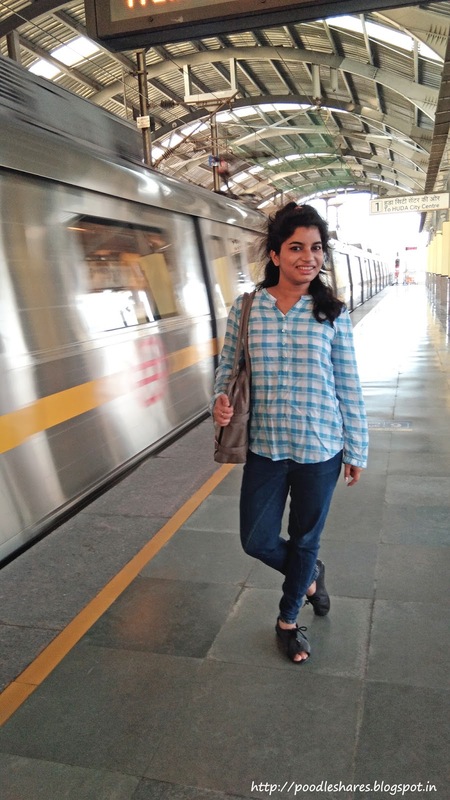 In this one, I have paired my blue buttoned kurta top with handbag, blue tapered jeans and black peep toe shoes (keeping it casual). Plus a watch from my must have fashion essentials. Straight line kurtis with pencil cut bottoms make it an awesome formal combo. This black straight fir A-Line Kurti paired with golden trousers make the look just perfect and the plus point you get pockets with it. Sometimes pair a peplum short kurta with cigarette pants to give your formal wear a twist. This look from AJIO sums up my point quite perfectly. 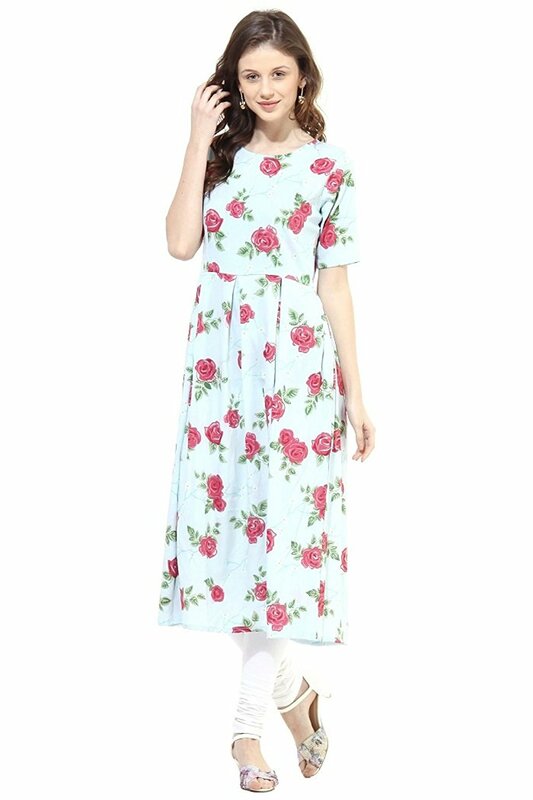 Kurtis make really awesome dresses, throw on a belt or your statement jewellery and you are good to go. See didn't I tell you these are making some revolutionary trends to follow and so versatile. One pair can be dressed in so many possible ways. Pants or no-pants, rock the style and make it a staple wardrobe piece. 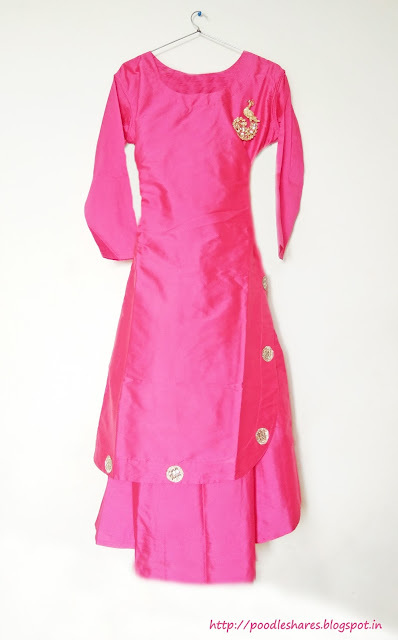 Like this La-Firangi kurta on Amazon has no slits on sides and will make a perfect summer dress with green belt on the empress line and pink clutch. We are not here to follow that age old trend of plain Salwaar-Kameez(though they make an awesome looks in themselves), we are going to jazz it up with our own quirk....RIGHT LADIES? (*WINK*). Pair an asymmetric kurta with skirt and you will have a style like never before. This one falls right between the Patiala and Punjabi combo except the salwar. 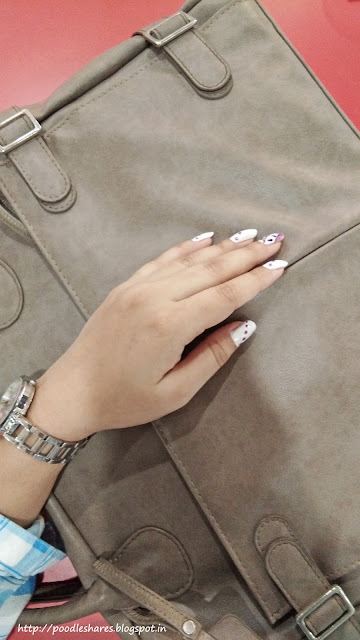 I like to keep my dressing minimal, for me less is more except if its some real fancy occasion and I feel like twinkling up. 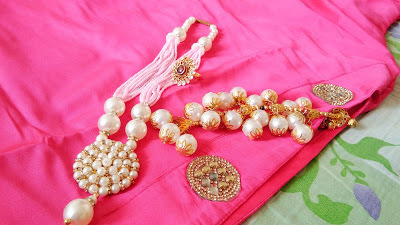 Mostly I pair my garment with single jewellery piece it might be a necklace, a ring, bracelet or earrings. 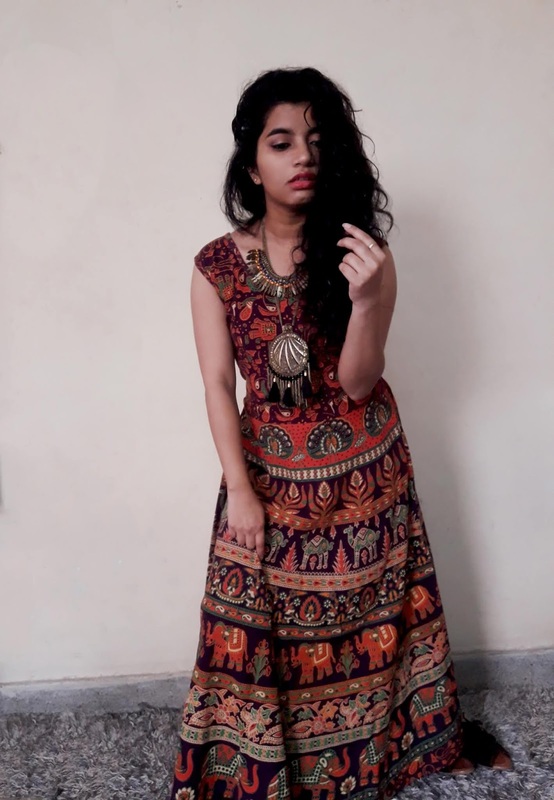 Hopefully these style tips are beneficial for your next kurti shopping, I would love to hear your experiences, in the COMMENT section. Awesome 👏 way to go!! !